It’s February! FEBRUARY! I can’t believe how quickly time flies when you are not paying attention to it. For most of us, February does not have any special meaning. 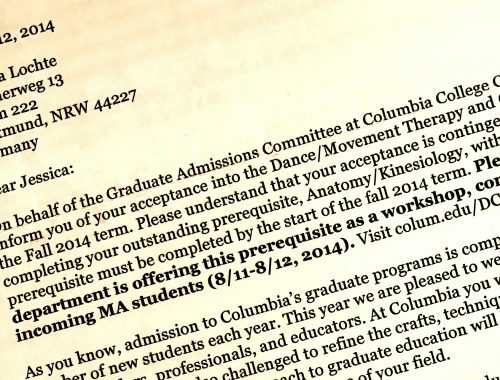 But for some of us, and hopefully some of you reading this post, February means that you just got invited to the movement interview on March 4th, the next step in the application process to enter Columbia’s Dance/Movement Therapy & Counseling program! Congrats and HOW EXCITING! You might experience a lot of different feelings right now. Excitement, because you made it into the next round, or sadness and disappointment, because it did not work. Some of you might feel nervous and anxious, not knowing what to expect. And again others will be in the difficult position of choosing between schools and programs. Whatever it is you are feeling, I want to let you know that I can relate to it and that I am here to help you out! If you have any questions, please do not hesitate to contact me (dmt.ma@colum.edu). I also wrote a lengthy blog post about the whole application process and frequently asked questions in the past (HERE), so looking at that might help too. One step closer to being admitted! The movement interview is always an exciting time for me, not just because I am able to participate in it as the ambassador of the program (this year will be my 4th time! 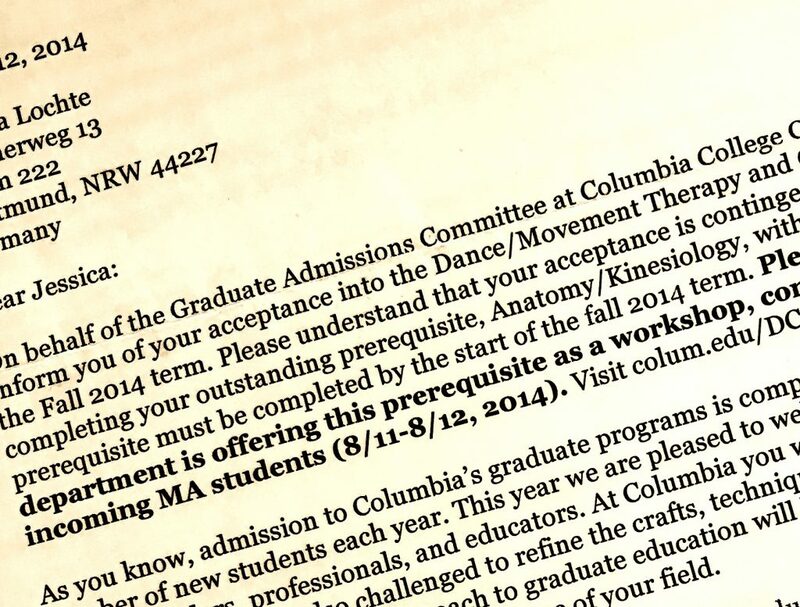 ), but also because I am able to meet a new “generation” of future dance/movement therapists. It is a really heartwarming feeling to share the space with people who have the same passion and vision as yourself. It is also a nice way to look back at the me of 3 years ago: a nervous wreck trying to figure out her life (or something like that XD). It is in those moments that I see clearly how much I have grown and developed, partly as a result of being in this program. “Each journey begins with a single step”. 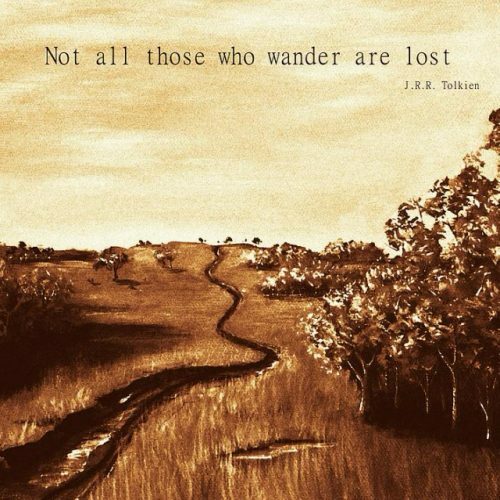 This quote constantly reminds me that it is fine to not know where this path is leading me and that uncertainty is an essential part of life. The same goes for the uncertainty you might feel about even starting such a journey (e.g. attending the movement interview, deciding which school/ program to attend, or going to graduate school in general). And this is fine. Because down the road, in three years when you are looking back at yourself reflected in the relationship to others, you will be able to see how far you have come. And that will be a great feeling!